DID you know that sometimes people fancy copies of books with a little scrawl inside them called an "autograph?" And sometimes people fancy them even more if they are acquainted with the author of said book. 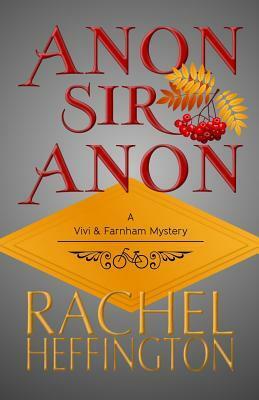 Well folks, I am here to tell you that autographed copies of Anon, Sir, Anon are now available for purchase from The Bookery! If you are interested in getting your copy of this charming mystery and would like an autographed version, send an email to theinkpenauthoress@gmail.com and I will be in touch with you. Cheers! I look forward to doing business with you, my dear readers. And if you so choose to spread the word via sharing this link on Twitter or Facebook, you're a more than decent creature and I'd like to shake your hand.